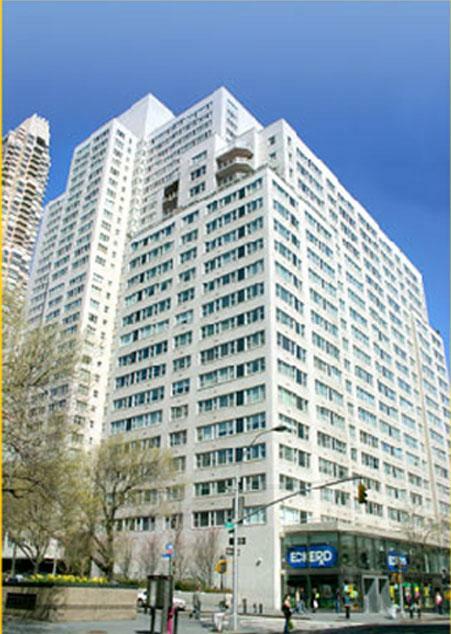 215 East 68th Street, a stately white-brick, 32-story apartment tower, was designed by Emery Roth & Sons and has 608 luxury rental apartments. The building has extensive and impressive landscaping with glorious trees. It has an epic-sized windowed lobby and a small circular fountain beside its marquee entrance, which has a large driveway. The building faces a very attractive row of townhouses and is to the east of the plaza of Trump Palace on Third Avenue. 215 is famous for housing New York dignitaries. U.S. Representative Charlie Rangel, former NYC mayor David Dinkins, Governor David Paterson and others ranging from judges to former police commissioners and news anchors are among the high and mighty who rent here. A certain level of prestige comes from being welcomed home by the same doorman as so many esteemed names. The mid-rise offers discrete air-conditioners, a garage and one-story polished black granite base. This is a lively section of the Upper East Side with very good local shopping and unbeatable public transportation. I would like information on apartments in 215 East 68th Street. Please contact me ASAP.